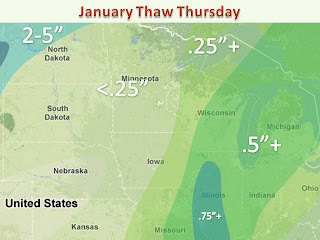 Thursday will bring a massive snow melt to all of the midwest. A storm system will move north from Mexico, bringing ample moisture along with it. Many areas will see a half inch or more. Once the rain is done fog will develop in many areas still with some snowpack. With warm air, a saturated atmosphere, and light winds, the fog will likely be dense in areas. Meanwhile, NW parts of North Dakota will see a few inches of snow by the weekend, with the potential of more this weekend. 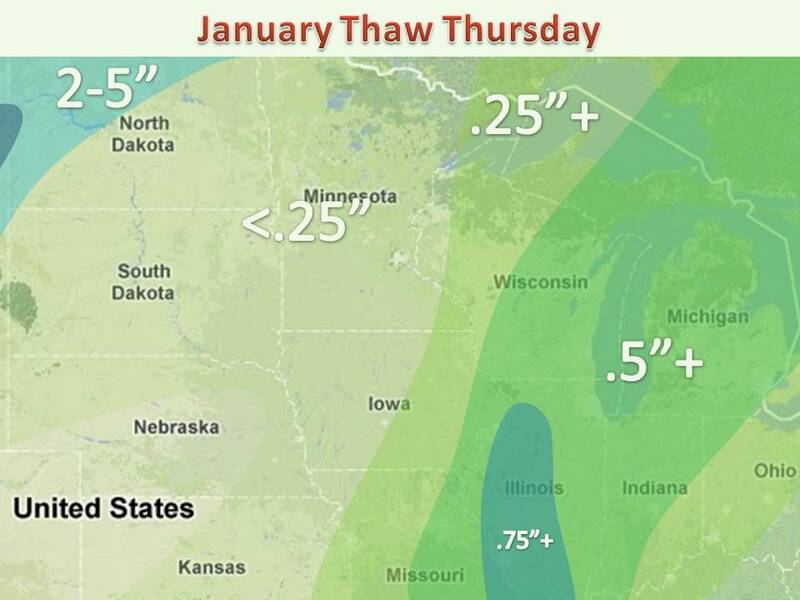 Areas in Minnesota should also watch for snow for the weekend, stay tuned for that.